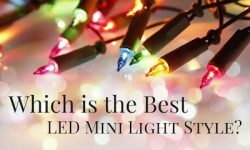 Which LED mini light is the very best LED mini light? That's a tough question to answer! Because there's a jumble of variables to consider when selecting the best mini light for any particular purpose. 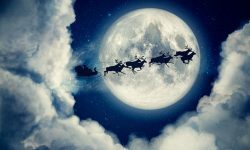 But certain lights might be the better choice for certain jobs. 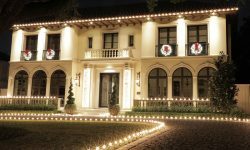 So let's discuss the most popular styles of mini lights, and the advantages of each. If we were to rate mini lights just strictly on sales and popularity, our 5mm Wide Angle Conicals would be the hands-down winner. 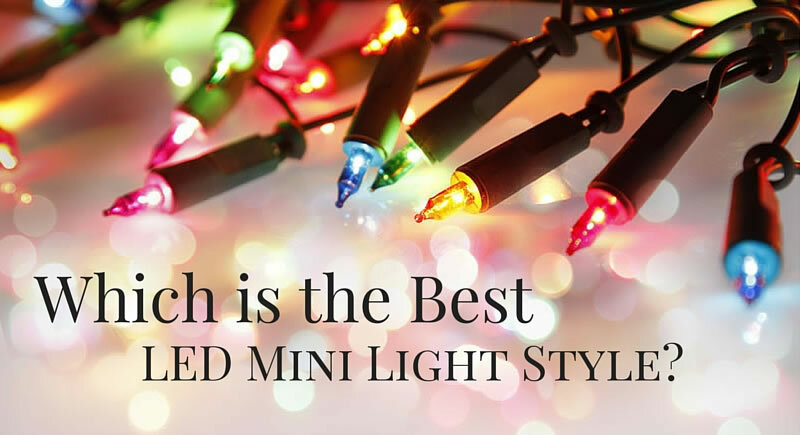 Based upon sales, these lights are by far the most popular style of minis. 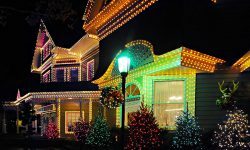 A big portion of the sales of these lights comes from professional Christmas light installers. Wide-angle conicals, in fact, are the near exclusive choice among professional installers. 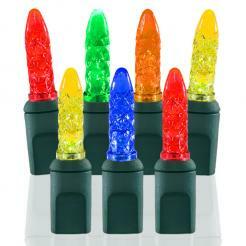 We use these lights almost exclusively ourselves in the professional decorating division of Christmas Designers. 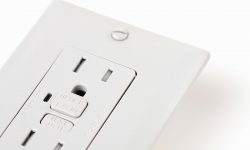 Why are these lights so popular among professionals? It's because they offer a great combo of practicality and aesthetics. They're practical and economical because of their durability, particularly for outdoor use. They'll stand up to many seasons of the harsh conditions that outdoor displays must endure. That's an obvious advantage for professional installers running a business. But it's an important consideration for home-decorating Christmas Enthusiasts, too. So what's the aesthetic advantage the wide-angle conicals offer? It's their sheer brilliance. In fact, these lights are the brightest LEDs on the market. That's because of the unique shape of the bulb; it serves to intensify the illumination of the LED diodes within. But before you clap your hands and exclaim, "decision made!" consider this: because of their brilliance, wide-angle conicals might not be the best choice for indoor applications. When used indoors, in fact, 5mm wide-angle conicals sometimes generate complaints because of their intensity. M5 mini lights are very similar in size to the wide-angle conicals. But the bulb design of M5s is quite different. And that makes a substantial difference in the appearance of the light. Where wide-angle conicals generate a sharp, bright, pinpoint of light, M5s produce more of a gentle, even, less intense light. M5s produce a warm, muted glow that many Christmas Enthusiasts might prefer, especially for indoor displays. 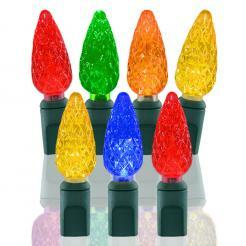 And many people are nostalgic about the look of the incandescent mini lights that were popular for so many years. If that's you, M5s might be your best choice. Because of the multi-angled, faceted surface of the M5 bulb, the glow it emits is very similar to the old-style incandescent mini lights. But of course, the M5 still gives you the many benefits of LED lighting. One other bulb probably deserves a mention in this conversation: the C6 LED light. C6s certainly are not mini lights. But they sort of bridge the gap between the minis and the larger C7s and C9s. And though C6s aren't minis, they're small; the bulb length is just 1.25". C6s also offer the traditional shape of the larger C7s and C9s, but in a much more petite package. So if none of the true mini lights seem quite right for your needs, it may be that the 'tween bulb will be just perfect for you. 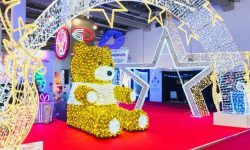 While there are many things to consider in choosing the best mini light for your project, there's no need to give yourself a headache puzzling over your choice. That's because it's pretty hard to go wrong. 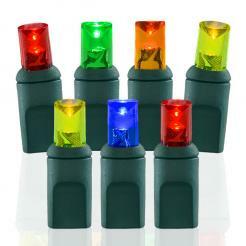 Choose any of the LED mini lights that we offer, and you'll be getting a great product. It's true that one style of mini might hold certain advantages for certain applications, as we've noted above. But no matter which style you choose, you'll be getting a quality product that will serve you well for many years. So don't agonize over your decision. Because the great advantage of mini lights is that any will work fine for most any purpose. And as always, feel free to give us a call to discuss. We'll be happy to coach you through your decision.